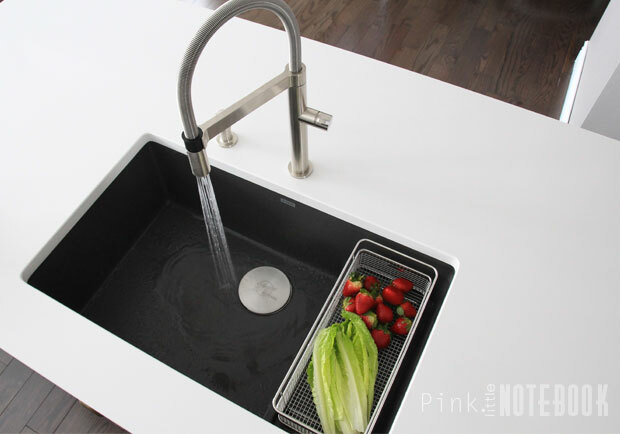 When it comes to kitchen sinks, I’ve always owned the typical stainless steel double bowl sink. Like many love-hate relationships, I had my fair share of ups and downs with my previous owned sinks. Here’s the thing. According to my husband, me washing the dishes is like Shamu the whale passing through the kitchen. I will admit—I’m a messy girl at the sink. I’m one of those people who prefer to use a dishwasher any chance I get. However, every now and then, I get stuck hand washing big pots, baking trays and non-stick pans that I just can’t put in the dishwasher. . .and here is where my nickname “Shamu” comes into play. For the life of me, I could never figure out how to wash an oversized baking tray in a double bowl sink without getting water all over the countertops, the floors and the cabinets. Being in our new house and having the creative freedom to pick our kitchen from scratch has made me the happiest girl ever. It was the perfect opportunity to address all the problems I ever had in the past, specifically my issues with the kitchen sink. 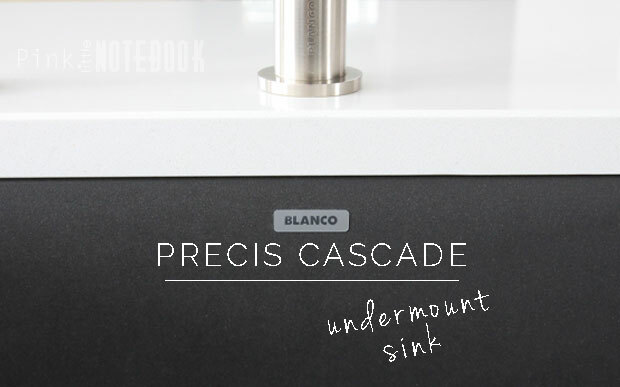 After much thought, I chose to go with the BLANCO SILGRANIT PRECIS CASCADE undermount sink (in cinder). This stylish single bowl is by far one of the best decisions I made for this kitchen! I always recommend doing your due diligence for any big item your about to purchase for your home. After all you want to ensure you’ll love if for years to come. When it came to BLANCO SILGRANIT sinks, I did A LOT of research, I read A LOT of reviews and by the end of it, I confirmed that this was the sink for me. Before, I get into the nitty gritty of this sink’s features, let me quickly sum up why I chose this model. The first obvious reason is because I can fit my baking trays in the sink without making a gigantic mess in my kitchen. Two, it’s low maintenance and extremely durable. And three, its freaking stylish and dresses up my IKEA kitchen! When you look at this sink, you can automatically tell right off the bat that this is superior in quality and construction. The SILGRANIT is a rock-hard composite material, formed using 80% pure granite. It has a soft dull finish, which comes in a variety of colours. The durability is supposed to be one of the best. So far it has stood up to my clumsiness (you know, the accidental dropping of wet pots and pans) and still not a single scratch! The SILGRANIT is also made to withstand heat up to 280ºC (536ºF). I constantly dump hot pots of water worrying that somehow it may damage or fade the interior of the sink but I’m proven wrong every time, it remains unaffected. This sink has a depth of 8″. I wanted a deep bowl but not overly deep. Working with a small kitchen I wanted to be able to utilize the space under my sink. 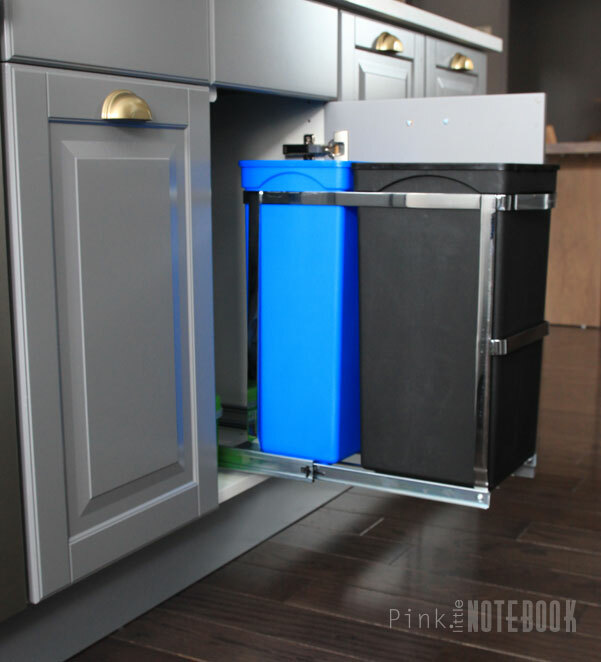 With an 8″ depth (9-1/4″ if you factor in the undermount), I was still able to clear a sliding garbage and recycling bin underneath the sink, which was high on my priority list. 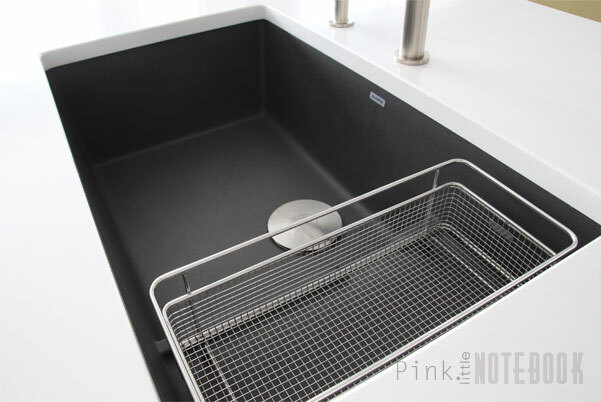 The sink is deep enough to wash bulky items, however, the most brilliant part of the design is the secondary bowl with the stainless steel mesh basket (which is included with this sink by the way). 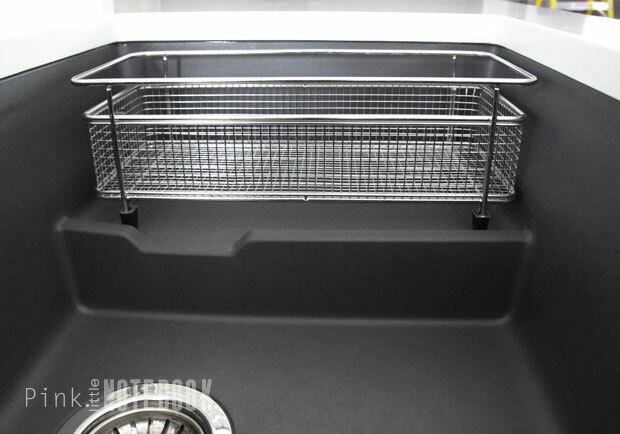 This has a depth of 5 -1/2″, which is a back-friendly depth for rinsing food or small items. Furthermore, I love the cascading effect of the water trickling down to the drain. Very clever! This sink is obviously a work of art. 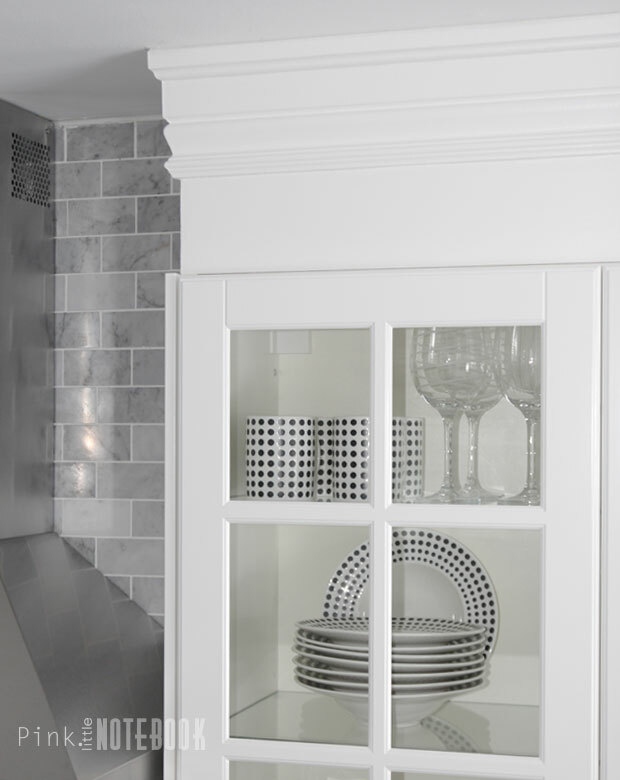 It’s a key piece to the overall look and feel of our kitchen. The colour Cinder is a warm charcoal grey which looks stunning against our white quartz countertops. A colour combo that will stand the test of time! The dimensions of the PRECIS CASCADE model are 28-3/4″ x 18-1/8″ which fits a minimum base cabinet of 33″. 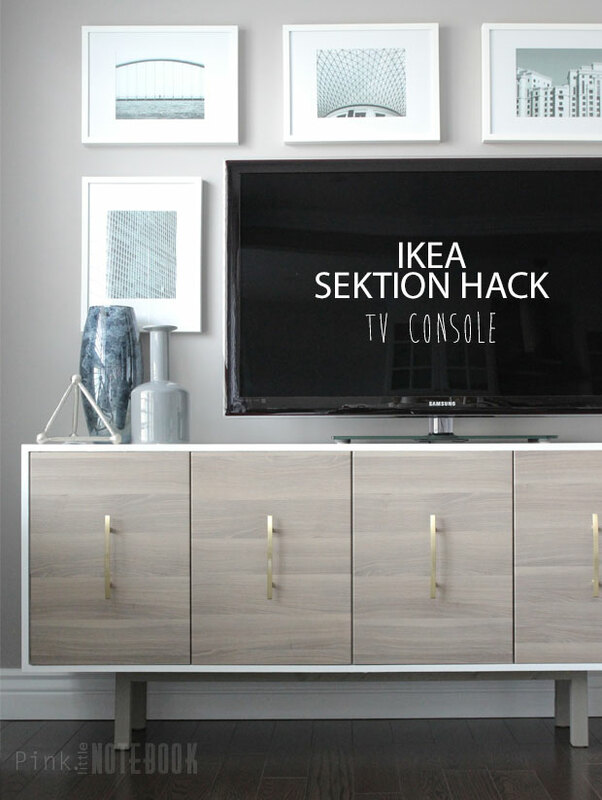 However, our installer was able to make it work on a 30″ IKEA base cabinet (always check with your installer first). Shape definitely matters when it comes to sinks. You get more volume when you have a rectangular shape, straight sides and a flat bottom. 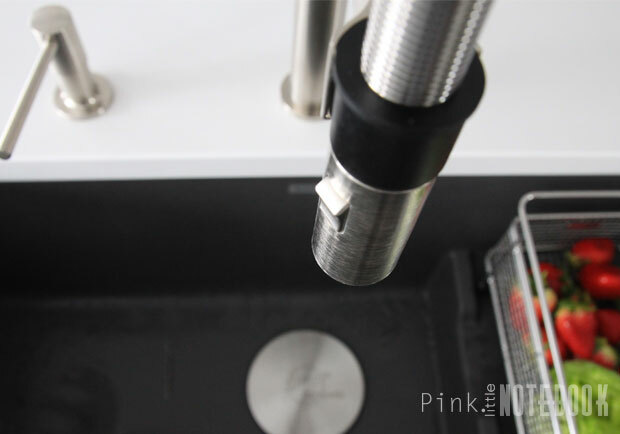 Soft rounded corners allow for easy cleaning and good drainage as well. I personally love the undermount, I think it adds to the sleek look of this sink. Also it allows countertop crumbs to be easily swept into the bowl. There’s no denying this is a good-looking sink. However, if I had to nit pick about the design, the only thing I would love to see in the future is a sleeker looking drain to match the contemporary look of the sink. I find the current drain to be a bit on the traditional side for the SILGRANIT sinks. With that being said, they do have these neat CapFlow Strainer Covers that can be purchase. It just kicks everything up a notch! 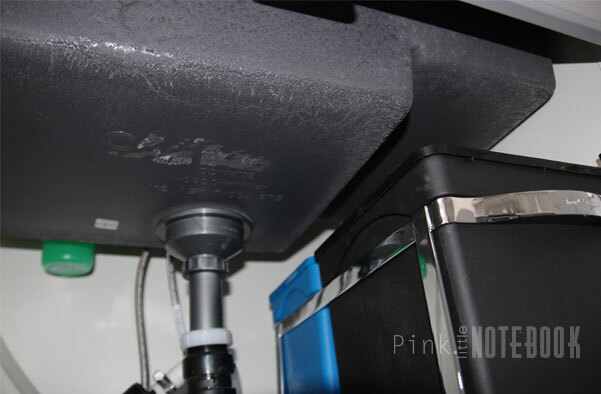 This cover does not sit flush with the bottom of the sink so water is able to freely flow underneath when the tap is running. I do, however, find myself removing it sometimes when I’m washing big pots to get a flat surface. I absolutely love my faucet! 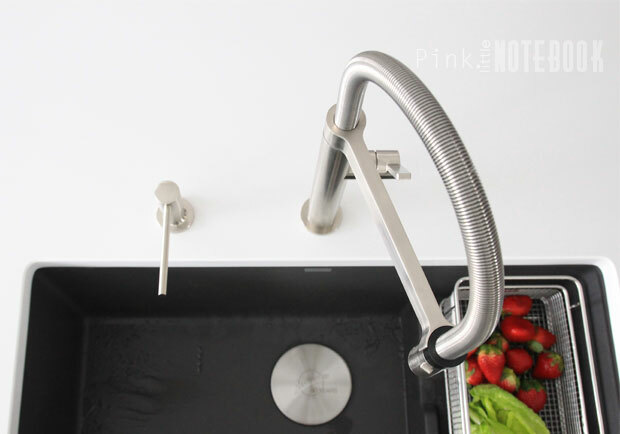 This single lever model with pull out spout is the BLANCOCULINA Mini in Stainless Steel. My favourite feature is probably the magnetized hand spray holder, which also has the dual spray toggle button. 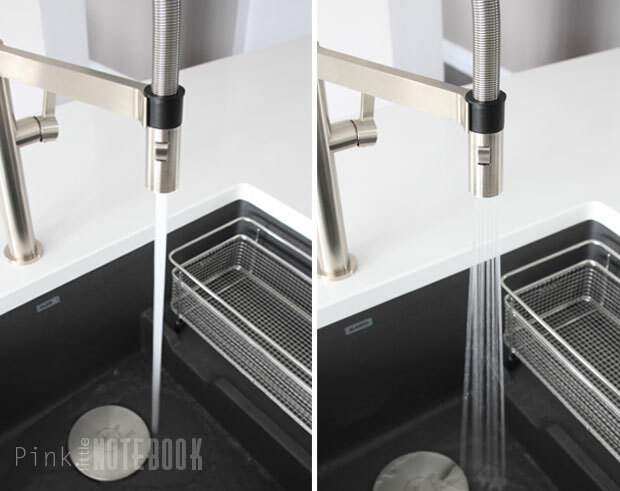 It has a 360° swivel and a flexible spring spout that reaches all four corners of this sink. 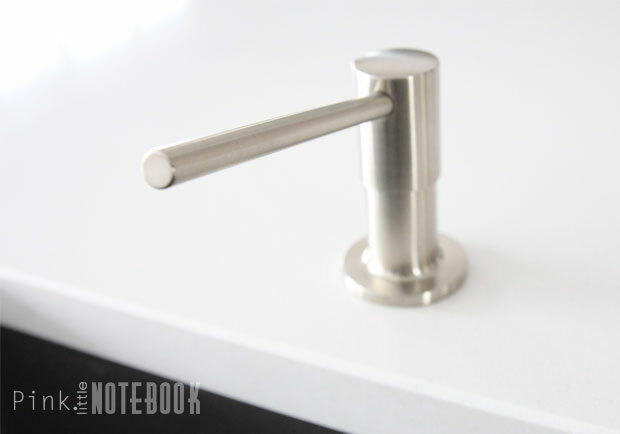 The soap dispenser is the BLANCO TORRE style in Stainless Steel finish. The shape and design complements the faucet perfectly. I was using another soap dispenser for a while and recently replaced it with the TORRE for a better match to my faucet. As soon as I started using it, I instantly felt a difference in quality (this is made of solid brass). I have been using this sink for a few months now and maintenance has been next to nothing. To be honest, half the time I forget to even wash it down because the colour absolutely hides everything. I love the fact that this sink is non porous which means dirt and bacteria cannot penetrate the surface. I have this very bad habit of emptying my coffee cup in the sink without turning on the water. Usually, marks are left where the coffee has dried up but once I run the water (which is many hours later) the stain literally washes away without scrubbing. I’m not even joking. When I do clean the sink I just use dish soap and water. Usually a good reminder that I need to clean my sink is when a slight build up eventually forms around the stainless steel drain and/or the stainless steel is discoloured (usually from the staining of my coffee). This is as bad as it gets for me. Again, a little soap and water does the trick. BLANCO does sell cleaners specifically for these sinks, however; I have yet to try them out. Would I recommend this sink? Definitely! Would I consider using it again in my future kitchen? Heck yes! After living with my own SILGRANIT sink, I can see why people love them so much. It definitely meets every high expectation that I had. Now who still prefers a double bowl sink!? 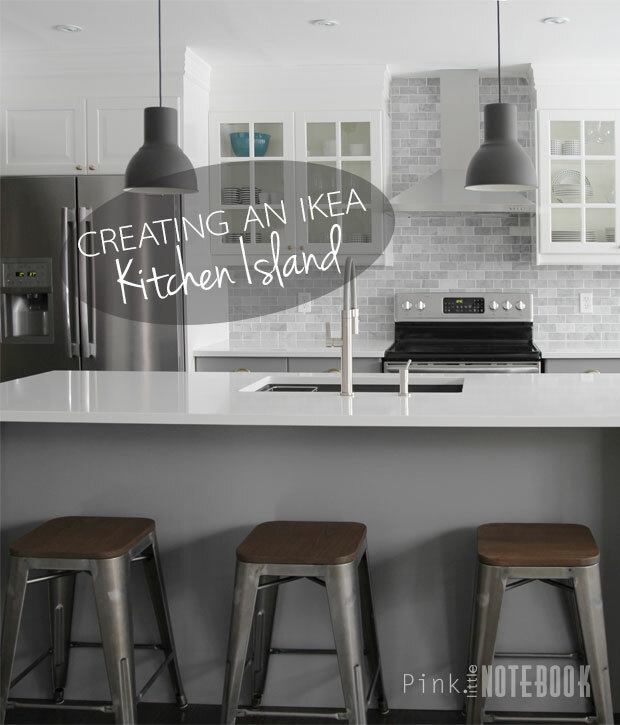 *Click through these links to see more about our kitchen plans, creating an IKEA island, how to disguise a kitchen soffit, a kitchen recap, about our wallpaper, DIY built-in bench, DIY upholstered bench seat, about our kitchen chairs and our kitchen reveal. Disclosure: I’ve always been a fan of BLANCO products so I was beyond psyched that BLANCO Canada has agreed to partner with me in my kitchen makeover. This post reflects my honest thoughts and opinions of the sink, faucet and soap dispenser. I was not compensated nor asked to write this review. Ok, you are making me want a new sink!! However, I like a two bowl sink because I dont like having a dish drainer taking up counter space and I am too lazy to dry as I go, so I end up piling everything clean in the 2nd sink and coming back later to empty it. I do LOVE the look of big sinks though! My mom rented a vacation condo once with a deep single sink and the best part was you couldnt SEE the dirty dishes in it until you were right in front of it! We love our new sink! It’s such a huge difference from our old one. At the end of the day, double and single bowls are both great. I believe it’s just matter of personal preference that determines what style works best for your lifestyle 🙂 I’m with you on the dish drainer, not a good look for the countertop. Thanks for stopping by! I use my clean dishwasher for a dish drainer when I’m not using it. If the dishwasher is in use, I use a thick dish towel as a dish drainer which can dry on a towel rack after use or put into the laundry with other dish towels. I wish I could remodel my home’s kitchen! The sink and the rest of the kitchen looks great! I have an overmount sink and laminate counters, which are not a good combination! 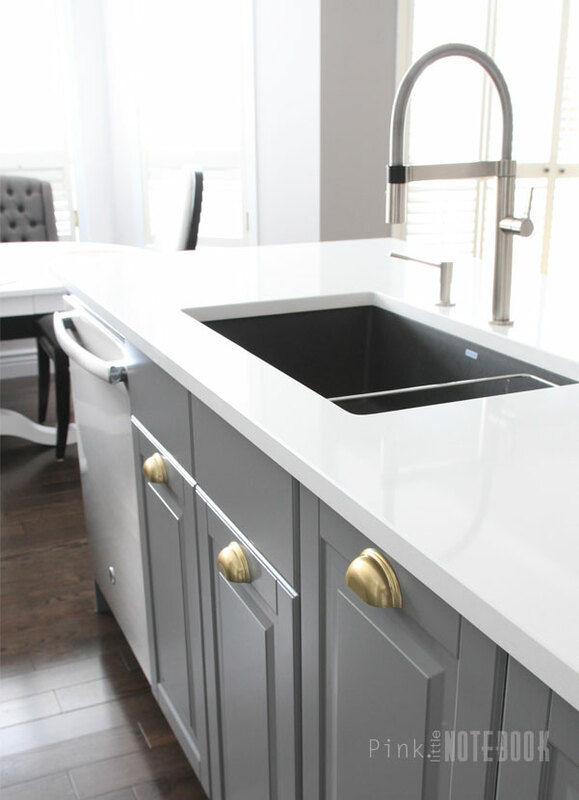 Hi Lauren, I lived with that combo for the longest time so I know all about overmount sinks and laminate countertops 😉 This is actually the first time the hubby and I renovated our kitchen so it was quite an exciting experience for us!! Thanks for the great review. I’ve been considering one of their sinks for some time. Definitely the double bowl though, it seems the minute I fill the sink with soapy water, someone. Needs to pour something down the drain! Hi Kelly, thanks for your kind words! The Silgranit double bowls are quite nice! I love the Blanco Precis U 2. The shape is stunning on this model. Good luck on your sink search, I hope you find the perfect one! I love your sink! I have an older home and have the good old fashioned double sink. I would love to have one that is flush with the counter! Someday! How what an awesome sink! This would be my dream kitchen. We’re just waiting for our new Blanco sink to be installed when the granite counters come next week. We couldn’t go with the granite because it’s just a single sink – but the Blanco I bought is gorgeous too! WOW! I love it. The kitchen is beautiful and I agree, the sink definitely dresses it up even more – I’m with you on the larger size, I have a double now and make a big mess all the time! And your kitchen is looking absolutely spectacular! I am living vicariously through you and your modern design because that’s one thing the hubs just won’t budge on. Love looking at your pics! Do you have more details on what your installer needed to do to make the sink fit into the 30″ Ikea base? We’re considering this same option and want to make sure we have the right questions to ask our installer before we move forward with purchasing the sink. Thanks! The sink fits in a 30″ base but because IKEA cabinets have this lip around the top that makes the opening less than 30″, the installer had to trim it all back. The only negative about doing this is that your sink is literally wedged between your countertop and your cabinet. So if you ever wanted to replace your sink in the future, you would have to remove your countertop in order to get it out (vs removing the sink from underneath the countertop). However, if you’re putting in a high quality sink like Blanco chances are you’re probably going to have it for a lifetime and there will be no need to replace it 🙂 Hope this make sense! Hi Troy! On a daily basis, I keep my dish cloth nicely draped over the edge of the wire basket, my husband, on the other hand has a bad habit of just throwing it in the basket. As for the flat bottom, the water definitely slopes towards the drain. However, if you are dumping your coffee or juice right in the corners of the sink, the majority of the liquid will run to the middle but the remaining coffee/juice will just dry up so it’s probably best to turn on the water when you do so. Hope this helps and good luck with your search! Thanks for all the information. I just bought a biege sink yesterday. My friend told me i will regret buying that color because it stains. The darker colors do not match my kitchen. I am debating if i should return it for stainless steel. I do not want stainless steel. I had it for 27 years. Can anyone help me make a decision. I love thelook of the sink but i also want something practical that will not be full of stains. I agree with everyone your kitchen looks beautiful. Hi Gayle! Did you buy a Blanco Silgranit sink? One of the many features about these sinks is that it’s scratch, stain and heat resistant. That is what makes it so great! You should contact Blanco directly as they will be able to answer all your questions and concerns regarding your purchase. We have a baking blog and that means we wash dishes A LOT. We are redoing our kitchen and are now sold sold sold on the Blanco. We were torn between single or double bowl and now that I see this Cascade sink looks like a very practical sink with enough room for full sheet pans that would also provide a ‘clean’ side. Do you still love your Blanco Cascade or would you choose a different configuration now? Thank you for this wonderful review! I’m considering a Blanco Silgranit sink, but couldn’t find a ton of online feedback so this was really helpful. Did the drain basket come with the sink or did you purchase it separately and if so, where did you get it? thanks! Hi Hayley, Thanks so much! The mesh basket did come with my sink. However, it’s best to check with your local supplier. I just installed this sink in my new kitchen and I absolutely love it! Cleans easily and hides the dirt when you don’t have time to clean. I love the basket too. 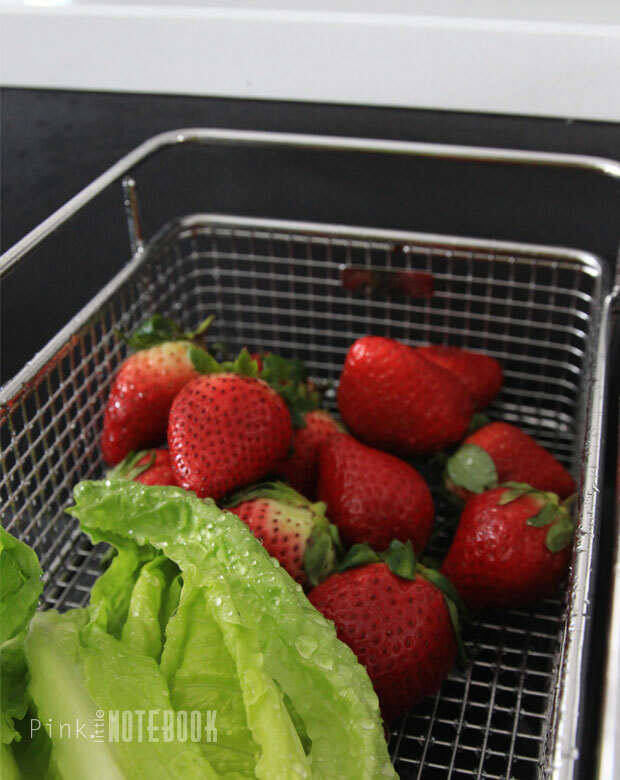 Great for rinsing food or holding clean dishes for drying. I have always been a single sink person but I just found an item at Ikea that solves the single or double sink issue. It is called a Boholmen (sp?) rinsing tub. It is just a flexible plastic tub that fits perfectly in the Precis sink. Use it when you need to wash/rinse dishes and store it away when you don’t. The best of both worlds! That’s awesome! Thanks for sharing Jan!! HI there! Based on lots of research including your very informative post, I have ordered this sink for a new kitchen! I’m really excited. My cabinet maker had designed a recycling centre in a separate pull out to the right of the sink but I’m considering your option. Can you please provide the recycling dimensions and the brand you purchased? Also now that you have used it, is it big enough? Any other feedback appreciated – and time is of the essence – we are signing off on final designs! Thanks so much!!! Hi Margaret, we purchased the SimpleHuman 35 liter trash & recycling bins http://amzn.to/28NdkBa. It works well with our limited space, however, if I had the option to do a separate pull out with bigger bins, I would definitely do that instead. Hope this helps & sorry for the delayed response. Hi I am considering this sink. Thanks for the great review and pictures! I have been looking for examples to see how people like it. I was wondering where you installed the faucet? Is it centered with the sink or over the drain hole? Thanks! Hi Megan, Thank you:) My faucet is centered to my sink. Thank you for your review. Your kitchen and sink are beautiful. You helped me conclude on narrowing down my choice to a Blanco Silgranit Cascade, now i just need pick the color. i love the black but was afraid of our hard water that it would stain. Have you had any issues with water stain or any recommendations on avoiding this. Hi Wayne, I too have hard water (although I do have a water softener). Occasionally, I do get the odd water stain in the secondary bowel when water sits and dries in there. The best thing I found that keeps it free of water stains and my sink looking brand new as the day I took it out of the box is “Olive Oil”. It works so well, better than the Blanco Silgranit cleaner. You mentioned that the drain part could use a ‘facelift’, but my question is… where did you get the one you have? I bought my sink on Ebay and it didn’t come with drain fixture. On the Blanco website, they don’t seem to sell it, only the accessories like the drain cover that you have and baskets and other such things. We bought a nice Kohler set, but they don’t fit right, and I can’t use my new sink yet! Hi Hylah, the drain fixture comes with the sink .Maybe you should contact the Ebay seller to inquire about this or contact Blanco customer service to see where you can get one. Hi! I’ve been browsing Blanco sinks for my new kitchen and I’m keen on getting one. Your cascade model looks great. Where did you purchase the sink as I can’t seem to find it with any local SG dealer. Hi Sheda, you can find a Blanco authorized dealer through their website http://blanco-locator.techbarn.com/ Hope this helps! Hi , I am about to order a new sink this week and I am seriously considering the Blanco Silgranit in black. I was warned by a friend to stay away from black sinks as I will need to constantly wipe down the water droplets every time I use the sink. Is this correct and is it an issue for you if it is correct? Hi eskywhite, To answer your question, I do not have an issue with water droplets nor do I wipe down my sink after I use it. The only thing is occasionally I get the odd water stain in the small secondary bowel when water sits and dries in there over a long period of time. Once a month or so, I will just use a little “Olive Oil” to wipe it down and my sink looks brand spanking new again. Hope that helps. Sorry if it’s a dumb question but with single bowls like this , where do you drain your plates? I’m a dishwasher gal! I really only hand wash items like pots and pans and I have a drying pad that I put on my sink to allow them to air dry. I know some people prefer double bowl for that reason. You all do realize that this a porous sink material, right? (Go to their website.) We have the white one and after a mere 2 weeks it is showing problems with staining. Maybe the black one, like the one the enthusiastic blogger here is promoting, is better. But my question would be: Why would you make a kitchen material out of a porous material? Wish we hadn’t bought ours. An over-enthusiastic salesperson told us it was top quality. Well, I’m now thinking she only sells to people who have show home kitchens and don’t actually have to clean them…. Can discoloration and stains/marks occur on SILGRANIT ? No. Discoloration and marks/stains are the result of limescale deposits that, when dry, absorb liquids such as coffee, tea or red wine. This then creates the impression of discoloration of the sink surface. Thanks for the reply and I’m not trying to be difficult, just wanting others to beware. All I can speak to is my personal experience. You took the latter part of your response from their website. Of course, they would claim that it can’t stain. My stains were not from lime but from blueberries, tomato soup, coffee, etc. The installer warned us severely not use abrasive cleaners or pads so that limited me to soft-scrub with bleach. Yes, this cleans “most” of the spotting, but this sink is very high maintainence and requires more attention than my previous stainless steel. I’m glad you got black and are happy with it. White is no-no. Sabrina, I am going to get a Blanco and I am deciding whether to get a single bowl or this model. Wondering if the larger side accommodates a sheet pan? It is hard to tell in the pictures how large it actually is. Thanks for your review! It called a mini? Is actually small? Is amazon the best way to order it ? Thanks for the feedback Bonnie. All the best! Further to my post from December. Blanco sent the wrong sink. I received a grey bar sink, small and square, instead of the white Précis Cascade. Returned it to the retailer, who told me I would never receive a replacement in time for my scheduled renovation. Called their phone order people who said to ensure timely delivery, I should switch to Performa Cascade and give up on white. So I took their advice, ordered that model in metallic grey, and ten days later received a sink with a huge fracture running full length. Returned again. Postponed contractor. Hope third time is the charm. In our last house, I used a silgranit sink for 9 years without a problem, including dropping cast iron occasionally, and regular draining of boiling water. Never any issues. That is why I am still trying! Just 5 months after installation, my sink has developed a hairline crack on the side over the bowl divider. The warranty is useless as installation is not covered and it would cost thousands to remove and replace the countertop. Google Silgranit sink cracks and you will find that you aren’t supposed to pour boiling water in the sink! Hi Diane, I’m so sorry to hear that. Are you sure that hot water was the cause of the hairline crack? I can only speak from my experience but I pour boiling water in my sink from my tea kettle every single night for the last two years and I haven’t had any issues. Not to mention the occasional pot of boiling water from any cooking we do as well. I hope you’re able to find a solution. How can you not pour boiling water in a sink?? Dont you all make pasta and strain it in your sink?? I’m confused, can you really not pour boiling water in a silgranit sink? And Sabrina, how is your sink holding up now in 2017? I pour hot water in it everyday! No issues here. After using it for 2+ years, I still love it and it’s still in the same condition as the day I had it installed. If I had to complain about anything. It would be the stainless steel drain. Although soap and water cleans my Silgaranit sink great (since you shouldn’t use harsh chemicals), it doesn’t really give my SS drain a good cleaning. I usually need to pull out a cleaner to shine it up. Yikes! Sorry this happened but glad you took time to write about this! I’ve done it a few times not knowing that you can’t pour boiling water into the sink. Whew! Hi there! I just wanted to say thanks for your post about this sink. I too loved so much about it and chose it for our new house build. It’s been seven months now and I still love it as much as the first day. It was your indepth review that provided the info that helped me decide. That’s amazing! Thank you Margaret! This is great information. I’m trying to decide on a stainless steel or granite. In the end I think I’ll choose a stainless steel. I am a bit concerned about choosing the light color I would need, considering we are hard on our sinks. This article certainly made me think . Weird how these posts are not in chronological order! Bonnie, believe me, you are better offf without white. Ours is in a constant state of looking “slightly off” until I take time to carefully clean it. Can’t use traditional cleaners or nylon pads so it is a bit of a pain. Also, about the boiling water issue, my wife says they told us that when it was installed (not to pour boiling water in it) but I don’t remember that. I still do; how can you not have a kitchen sink that will accept boiling water? Where am I going to take the water, to the bathroom? Anyway, I just aim for the open drain (garbage disposal side) so that I’m not pouring the scalding water directly onto the sink material itself. Bonnie, you sure are being patient! Thank for the encouragement, WCraft. I think white would have looked amazing with the planned quartz, but I keep telling myself the grey will match the stainless appliances. And it may stand up better to the cast iron pans, too. If anyone has experience with the Performance Cascade, ie pan size that immerses, I would be interested. Those who have had a bad experience with this sink, where did you purchase yours was it through an authorized dealer or elsewhere? I’ve been researching and calling around local dealers and what I’ve been told is that what you get from the big box stores and Amazon are not the typical Blanco sinks. I’ve also been told that you have to go through an authorized deal in order to ge an Blanco warranty? Can anyone speak to this? What about grease in the sink? Does it come off easily? I just purchased the Blanco Siligranit sink, a friend of mine said she bought one and she had a grease buildup not sure if she bought the Blanco brand or not. Any information about that would be help full. Hi Patty, yes grease does come off easily. However, if you let it sit for a long period of time, like any sink, it requires a little more elbow grease to take it out. I always try to dump all the grease or oil in the garbage prior to washing, I’m more worried about clogging my drain! I purchased a Blanco Silgranite Sink because I had read several reviews, Yes they are attractive, reasonably priced, and claim to be durable. Mine arrived in an undamaged box, styrofoam inside was intact without damage. Sink was correct and the color was right. We are doing a remodel of our laundry room and weren’t quite ready to install so I left it sitting in the box on my bedroom floor untouched. Two months later when it came time to install it, I unwrapped it completely only to find thin hairline cracks in two corners going down into the side of the bowl. Called company where I purchased it and they said, “tough luck”. Called Blanco and they would not back the sink either. If you research more online you will find many complaints about these Blanco Silgranite sinks cracking. Once cracked there is no way to adequately repair them. Blanco doesn’t back them up either which should be a huge red flag. These sinks may be nice to look at but their quality and durability is terrible. Buyer beware. These sinks are TRASH!! Hi Dale, I’m sorry to hear this. However, please keep in mind that I don’t work for the Company and I can only advise you of my experience with the Silgranit sink. I have had my sink for three years now. I use it everyday, I dump hot water in it, I throw pots and pans after dinner. I don’t regularly maintenance it the way I probably should and I don’t have a single issue with the sink. I have no hairline cracks at all. To generalize Silgranit sinks as “trash” is not accurate. 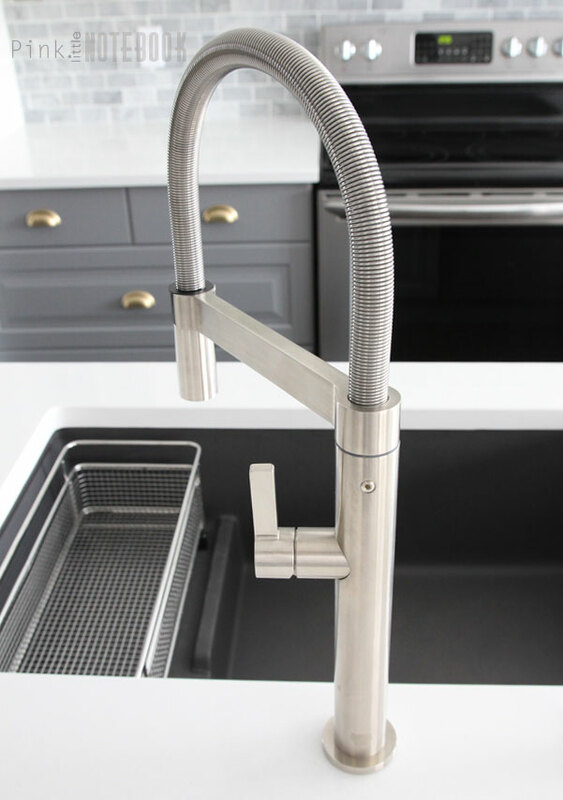 Blanco does backup their products and has a limited lifetime warranty on all their stainless steel and Silgranit sinks. I’m not sure what is happening in your case but I hope you come to resolution. All the best! Our kitchen remodel is nearing the finish line. My long awaited Blanco Precis Silgranit sink in Metallic Gray ♥ just arrived yesterday after weeks and weeks of backlog. Countertop fabricators have been waiting on my sink so they can continue on with the laser template and get my slabs in!! I happened upon your post via Pinterest. You can’t imagine the relief I had after reading your blog post! I KNEW I wanted this sink but really hadn’t heard much about an actual experience. THANK YOU! Soooo excited! So glad to hear Tracy! Thanks for your kind words and best of luck in your kitchen remodel! Hi, thank you for reviewing the mini cucina faucet. I’m considering it for my kitchen. Do you still like it 2 years later? And I’m curious – does the horizontal bar get in the way of using the sink, like when you’re trying to maneuver big items like pots and pans? Thanks. Hi Ashley, I absolutely love my faucet till this day and would without hesitation recommend it to anyone looking for a quality product. I’ve never had an issue with the horizontal bar. It sits quite high. Best of luck in your search! I love the look of your sink as well. In my kitchen reno, we chose a Blanco silgranite double sink in Anthracite. I think it’s just a little darker than Cinder maybe? To go with it, we picked a black Pfister Raya faucet. It’s yet to be installed, but you’ve got me even more excited about it. I’m curious about something else – your fabulous drawer pull hardware. What is it and where did you get it? Still looking for what we’ll use for ours. Sounds like a great combo! Definitely send a pic my way when you complete it. The drawer pulls are from IKEA. Can you believe it?! Question- any more risk than normal sink with raw meat as this is porous stone ? How about an update on the sink? I really love this sink, but we’re doing a laminate countertop. Is there any way you think it would work as a drop-in sink?? I would never install another Blanco Silgranite sink. Four years ago, we “upgraded” to a granite countertop, replacing our Formica top, and porcelain sink to Silgranite (Biscuit finish) at the recommendation of the cabinet company. Blanco had a video at that time that showed knives being dropped into the sink, and touted, no nicks or dents. Well, that is not the case. My husband and I are very careful. But occasionally have dropped a knife. We have a number of nicks caused by the knives. Also, I regularly use the cleaner recommended by Blanco, Bartender Friend Liquid. It is very difficult to still not have a discolored look even after cleaning, caused by emptying coffee etc.., into the drain. We chose an oil rubbed bronze faucet and sink strainers, when the sink was installed. Bartender’s Friend takes the finish of the strainer rings down to a bright brass look. Then, the next cleaning only partially returns to oil rubbed bronze color. This is very annoying and most of the time looks bad. We are getting ready to put our house on the market. It is very sad that our upgraded island sink looks so bad, only after, 4 years. Thought it should last “a lifetime”. Sorry you didn’t have a great experience. I too have dropped a number of things in my sink and oddly enough, I have chipped the bottom corner of my quartz countertop going into the sink but have yet to get any nicks or damage to my actual blanco sink. As for the cleaner, I have not heard of Bartender Friend Liquid. Blanco has there own line of cleaners that they recommend for the Silgranit sink. It’s called BlancoClean. You should definitely give that a try instead. I’m so very late to this post, but I’m putting a single bowl Blanco sink in a new home we’re building. Thought I wanted the anthracite until I saw your cinder grey one. I’m not able to see one in person. Is the cinder a very dark grey? The darker the grey, the better. Thanks!!! Hi Wendy, yes the cinder is a dark grey (almost black) colour. Hi, thanks for writing this review. Do you remember what size trash cans you used? Would they fit under the deeper bowl of your sink? I’m trying to decide if I should order the Precis or the Performa and the Performa’s shallow end is the same depth roughly as the Precis Cascade’s deeper bowl…..
Hi Hannah, the dimensions of the garbage cans are 9.8″W x 17.7″D x 19.1″H. It just clears my Cascade sink on both sides! Hope this helps! Hi Sabrina! I’m very happy to have found this page. 🙂 I’m trying to decide between the sink you have and the Precision single bowl 27″. I wasn’t sure if I should spend another $100 or so for the Cascade but I think you’ve got me sold. haha Also, I have the same IKEA cabinets as you and was thinking of going with the Metallic Gray colour but I like how the Cinder provides a contrast. I’m also happy to see that the garbage/recycling bins fit underneath. Are those bins from IKEA as well? I don’t remember seeing the blue one. Thanks! Hi. So happy to see your post about Blanco sinks. Was going to get Metallic gray but saw it has sparkles. I have a leathered granite that has grays and beiges. I know Truffle matches but wanted more of a gray. Was told by a decorator not to get a black sink but was considering Cinder. Cabinets are white. Does Cinder really look as black as the Antracite color? Also do you feel it’s a mistake to order from Amazon? Will Blanco only back up the sinks bought from their authorized dealers? Hi Donna, the Silgranit sink in the colour cinder is more like a charcoal colour (almost like a matte dark grey). I ordered my sink through Blanco. The best thing to do is contact them and see if they back up Amazon orders. All the best! 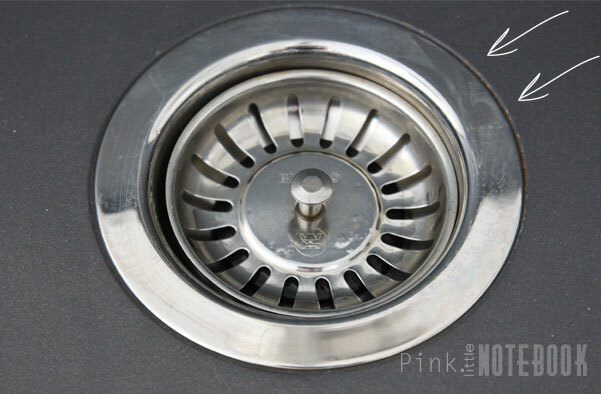 Do you have a garbage disposal under the sink with the waste baskets? It doesn’t look like it but need to ask. Hi Jeff, Yes I have a sliding garbage and recycling bin underneath the sink. There is a photo of it in the post. Great review. I appreciate the photos and the updates regarding care of the sink. I was unfamiliar with the produce and wasn;t sure about the undermount, but it appears that one does not need a bulky frame in order to undermount this type of sink. Thanks for posting this!